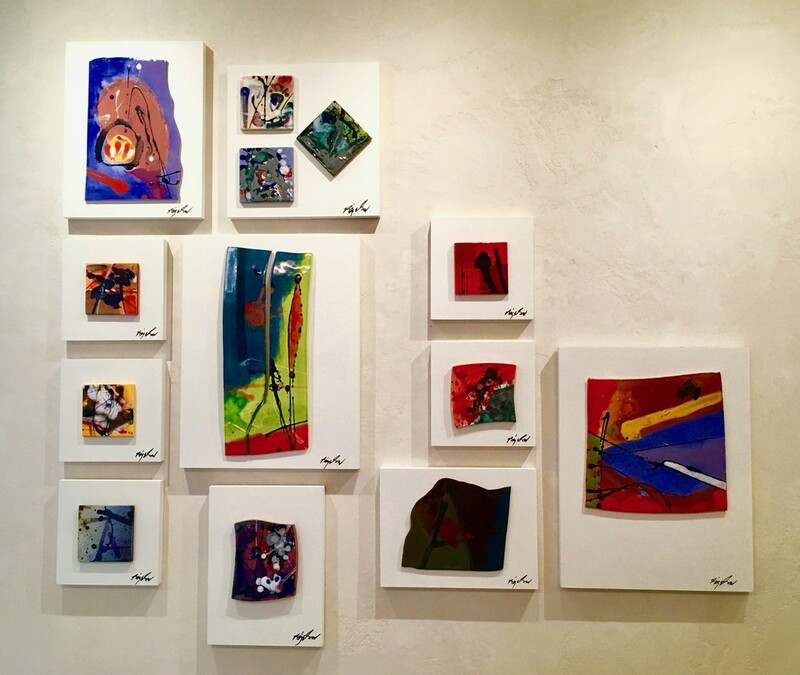 A series of acrylic paintings by artist Robert Bigelow as part of the exhibition. 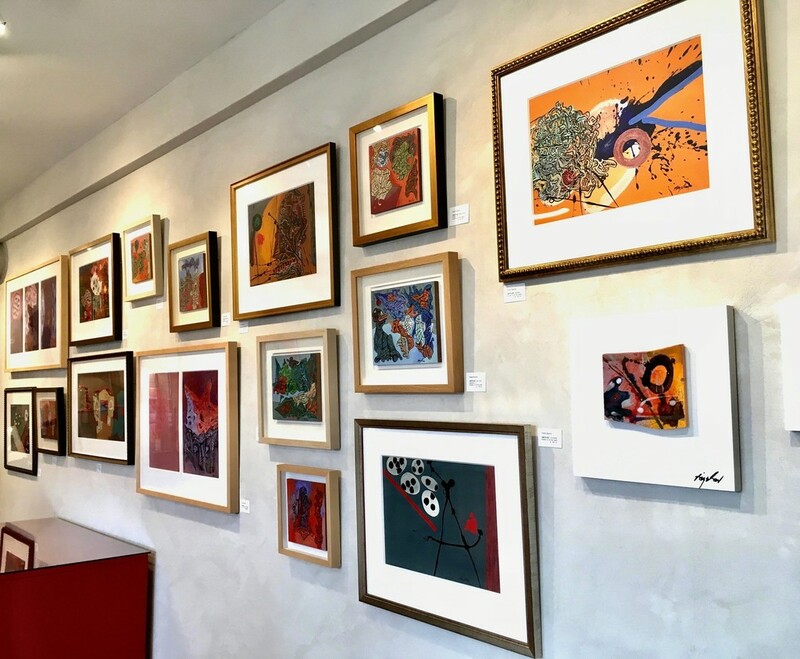 All the paintings are exquisitely framed with archival museum framing. As the artist explains... After so many years of painting I was in need of an entirely different media that I was not familiar with to force me to take chances that wouldn't produce predictable results. A short time later, Carolina Sanchez de Bustamante suggested that I should work with clay. That is the genesis of my current obsession with sculptural murals. 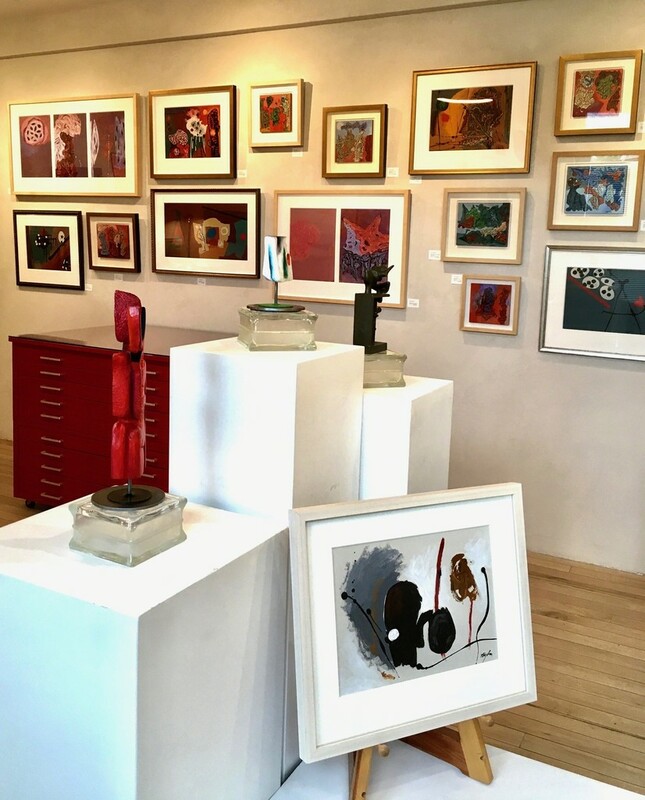 Acrylic paintings and sculptures in bronze and painted wood as part of the exhibition 'Beyond the Far Side" in September 2018. These were the ceramic glazing samples done at the beginning to understand better how to work with the media and most important how far to take this new media. We were happily surprise at the results. We shouldn't forget that Robert Bigelow was the studio manager of American artist Robert Motherwell from 1978-1978. All these tiles samples are mounted on a painted cradle board and sign by the artists. 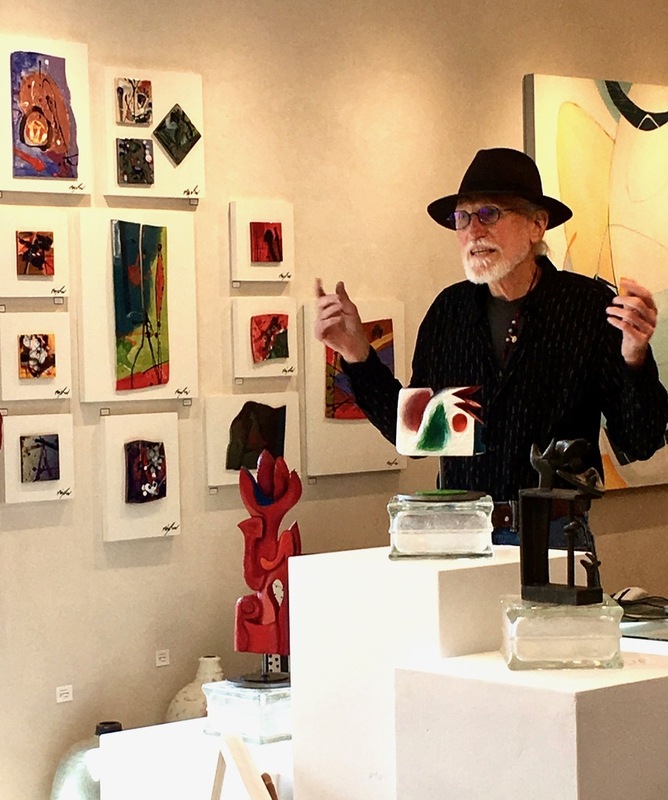 Artist Robert Bigelow giving a talk during the opening reception on September 22, 2018, about Creative Frequencies... "When employing automatism or intuition as the mechanism to create art we have to clear our head of all preconceived notions all together. We have to become a willing partner in this tacit agreement of non-interference as the image is extracted from the beyond. 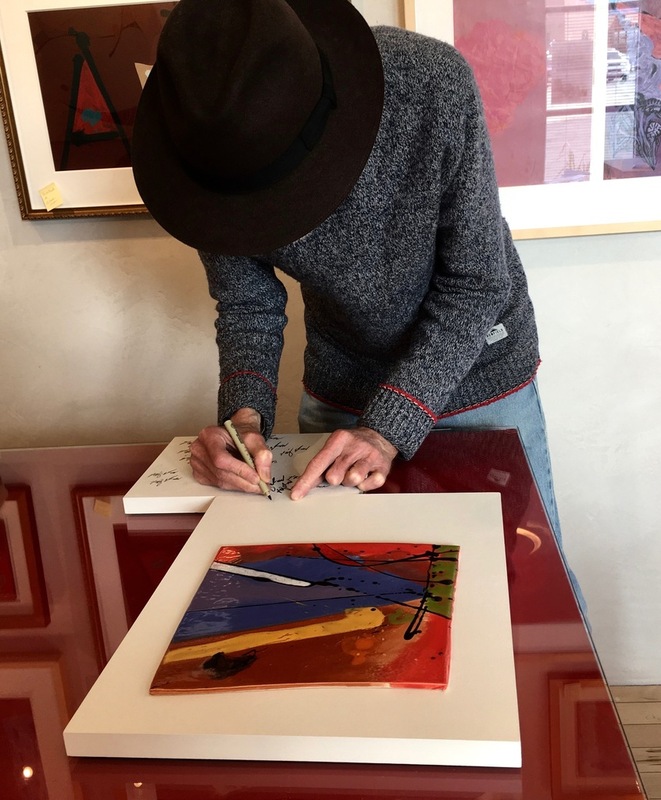 Artist Robert Bigelow signing the small ceramic murals at the gallery on September 20, 2018. "I am who I am and I do what I do because the person I am does what I do. As an artist I feel that the greatest challenge is to know thyself" .... Robert Bigelow, Canadian artist. 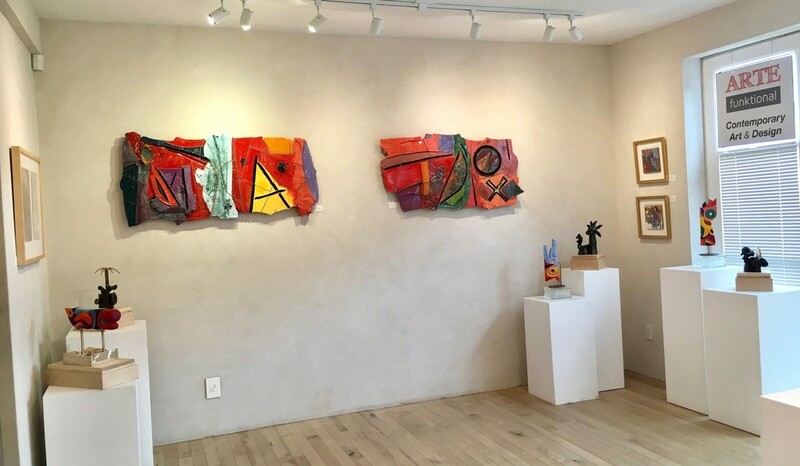 This exhibition is an introduction to the sculptures and murals of Vancouver artist Robert Bigelow, exploring a new media through bronze, clay and wood relying in "intuition". This exhibition speaks to the complexities of life in finding our own frequencies. KELOWNA CAPITAL NEWS - Sep. 6, 2018 4:38 p.m.
Vancouver based artist Robert Bigelow the artist explores a new media through bronze, clay and wood, relying on one common mechanism known to all as simply “intuition”. Starting on Sept. 22, ARTE funktional in Kelowna presents Beyond the Far Side, a contemporary exhibition with an introduction to the sculptures and murals of Vancouver based artist Robert Bigelow. In this exhibition, the artist explores a new media through bronze, clay and wood, relying on one common mechanism known to all as simply “intuition”. A master print-maker, a painter, a sculptor and an educator. This artist is not isolated but deeply connected at the core that merges with universal consciousness. His work reflects that journey and offers a glimpse of his inner substance and collective understanding. The significance of this exhibition speaks to the complexities of life in finding our own frequencies. 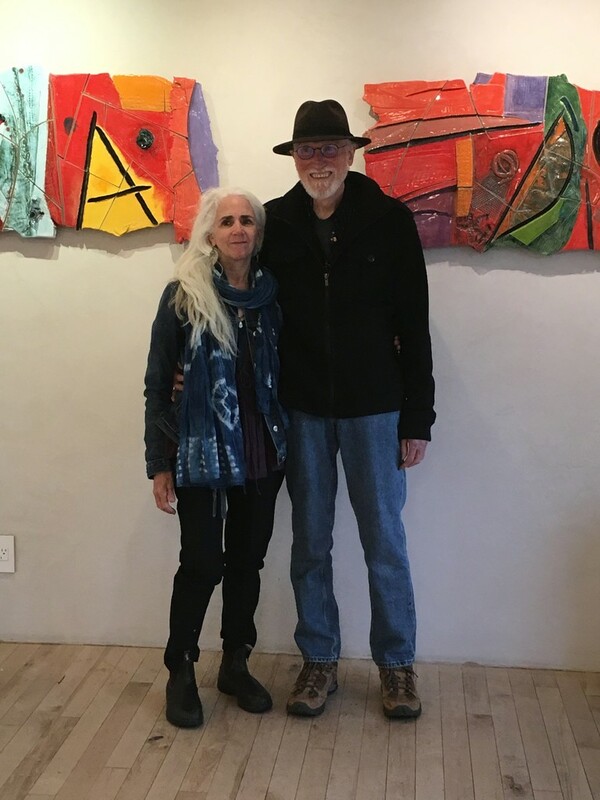 Canadian artist and master print-maker Robert Bigelow graduated in 1967 with a BFA, Major in Painting from the Chouinard Art Institute in Los Angeles. 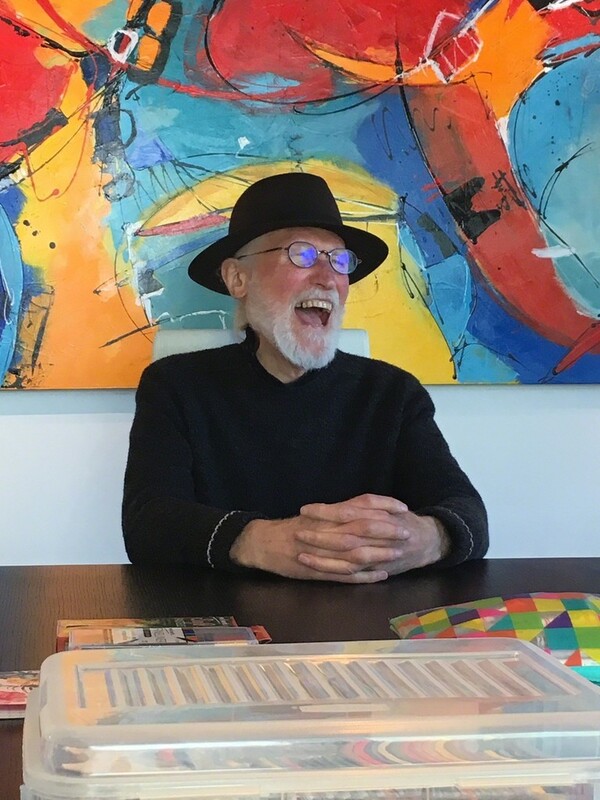 Bigelow taught painting, drawing and lithography in Western Canada from 1967 to 1971 at Simon Fraser University, Capilano College and the Vancouver School of Art in Vancouver and was a guest lecturer at the University of Calgary in Alberta. Robert Bigelow worked as a master print-maker from 1971 to 1978 for prestigious American print houses such as Gemini G.E.L., Tyler Graphics, Cirrus Editions, Petersburg Press and the Tamarind Lithography Workshop. In addition to collaborating on print editions with artists: Josef Albers, Jim Dine, Richard Hamilton, David Hockney, Ellsworth Kelly, Robert Rauschenberg, Bruce Nauman, Claes Oldenburg, Tony Onley, Man-Ray and Frank Stella; Robert Bigelow worked closely with Robert Motherwell on his paintings, collages and prints during a position as Motherwell’s Connecticut studio manager from 1975 to 1978. WATCH ABOVE: Shay Galor interviews Vancouver-based artist Robert Bigelow who has a new exhibit opening at ARTE funktional in Kelowna. Beyond the Far Side is a new contemporary exhibit at ARTE funktional in Kelowna. It’s a whirlwind of bronze, clay and wood sculptures and murals masterminded by Vancouver-based artist Robert Bigelow. Bigelow has taught painting, drawing and lithography at Simon Fraser University, Capilano College and the Vancouver School of Art (Emily Carr). He was also a guest lecturer at the University of Calgary. His resume includes being the associate dean at the Faculty of Fine Arts, Concordia University in Montreal. His works have been collected by the Portland Art Museum, the Boston Museum of Fine Arts, the Pasadena Art Museum, the Los Angeles County Museum, the Museum of Modem Art and the National Gallery of Canada. The opening reception for the exhibit is this Saturday, 2 p.m. to 5 p.m., and will feature an artist talk and live music. Beyond the Far Side will run from September 22nd to November 3rd at ARTE funktional inside the Factory in Kelowna. For more about ARTE funktional, click here.